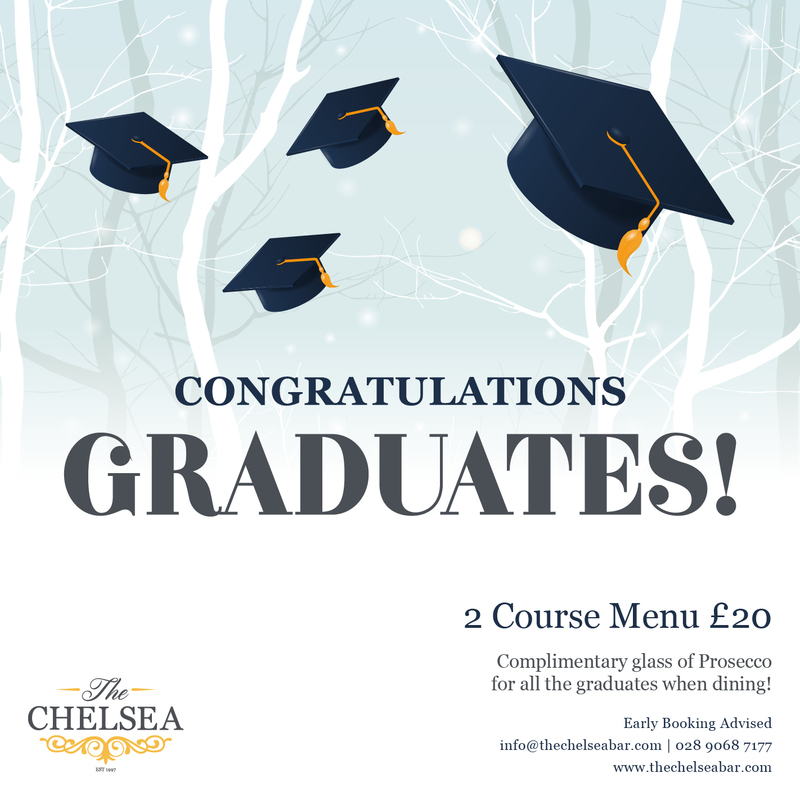 Join us for a special treat with your loved ones with a 2-course menu and glass of fizz for the grad for just £20. Contact us using the form below to book your table. Fill in the Form – We Will Get Right Back To You! An established, iconic gastropub located in the heart of the Lisburn Road, The Chelsea has been offering great food, drinks and entertainments to the local community and beyond for nearly 20 years.